Democratic Rep.-elect Alexandria Ocasio-Cortez is reportedly seeking to take down a fellow Democrat who represents a district not far from hers in the 2020 primary elections. Someone close to Ocasio-Cortez’s camp told Politico that the progressive politician has already recruited a black American woman to challenge New York Rep. Hakeem Jeffries, who was just elected to be chairman of the House Democratic caucus, the fifth highest leadership position in the party. 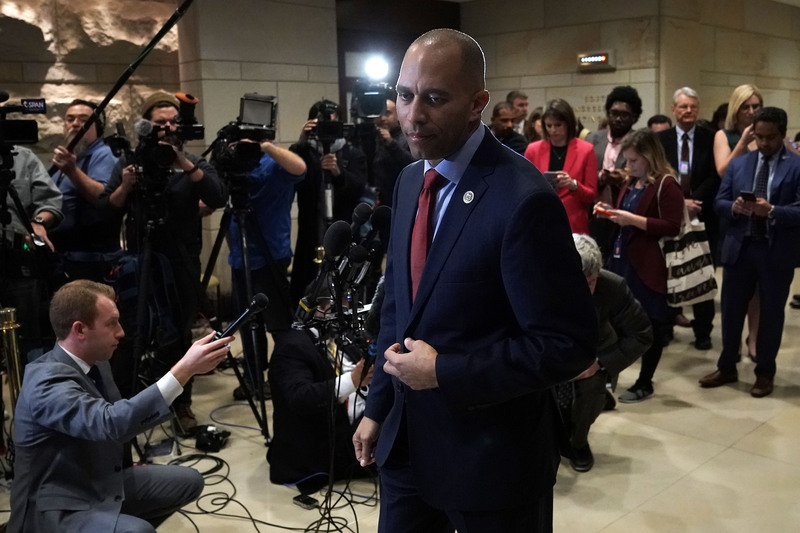 Jeffries, who represents a Brooklyn-Queens district just south of Ocasio-Cortez’s, will replace Rep. Joe Crowley as chairman of the caucus. Crowley was ousted in the primaries in June by Ocasio-Cortez for New York’s 14th Congressional District. Ocasio-Cortez is now reportedly planning to disrupt New York Democrats’ flow as she makes Jeffries’ seat her “highest priority” ahead of 2020 primary elections, the source told Politico. “We’re not going to shy away from New York,” another person with knowledge of the plan told Politico. The self-proclaimed Democratic-socialist joined forces after her November victory with Justice Democrats, a national campaign that aims to place a “new type of Democratic majority in Congress” made up of progressive candidates who have also pledged not to take any corporate PAC or corporate lobbyist money. Justice Democrats and Ocasio-Cortez are choosing Jeffries as their initial target for several reasons. Jeffries is too moderate and has taken too much money from corporate interests, according to the Justice Democrats, which also has a problem with his support of charter schools. The just shy of 30-year-old rep.-elect is reportedly unhappy with the fact that Jeffries won the House leadership position over her choice, the more progressive Rep. Barbara Lee of California, who donated to Ocasio-Cortez’s campaign. Jeffries allegedly used the donation to campaign against Lee as they lobbied for the position, something those involved have denied, according to the report. As Ocasio-Cortez and the Justice Democrats reportedly ramp up efforts to replace Jeffries, he doesn’t appear to be too worried. “It’s a free country and democracy is a beautiful thing,” Jeffries responded to reports. “Spread love, it’s the Brooklyn way,” he added, referring to lyrics from rapper Notorious B.I.G.